I wonder if you or any of your contacts can provide any details of a man who I am researching or images of Doncaster Station. He was Thomas H Linley and was at Doncaster Station and was part of the MRS for at least 10 years as he received the NCB Mines Rescue Service 10 Year Silver Service medal. It would be helpful to know which years he was involved. He died in June 1967 age 55. Thomas H Linley received the Silver Medal for 10 years Service. Unfortunate that he died at only 55 years of age in 1967. If he retired from the Rescue Service he would have been 45 as that was the age when it was thought that a man's strength etc for that type of strenuous job was at an apex and would then begin to deteriorate. That would make the years of Service 1947 to 1957. In the 1990s it was realised that the age to retire at 45 could be wrong and men were then allowed to carry on providing of course that they passed the rigorous yearly physical examination. Trusting this will assist you with your research. The insert of name for Joseph Keith Banet should be Joseph Keith Barnes Run over by tubs on 18th September 1945 at Williamthorpe Colliery Age 18. This was my fathers brother. I am not sure if you still monitor and update the website on mining, but I came across it by chance as I reviewed a copy of my Grandfather's death certificate and the 1901 Census. Seeing the nature of his death I searched for any news on the explosion of the boiler at Williamthorpe Colliery and initially surprised not to find his name. However I then found it spelt as Arthur Koytarski instead of Arthur Kotarski. I attach a copy of his death certificate for reference of the spelling and use on your website if you wish. 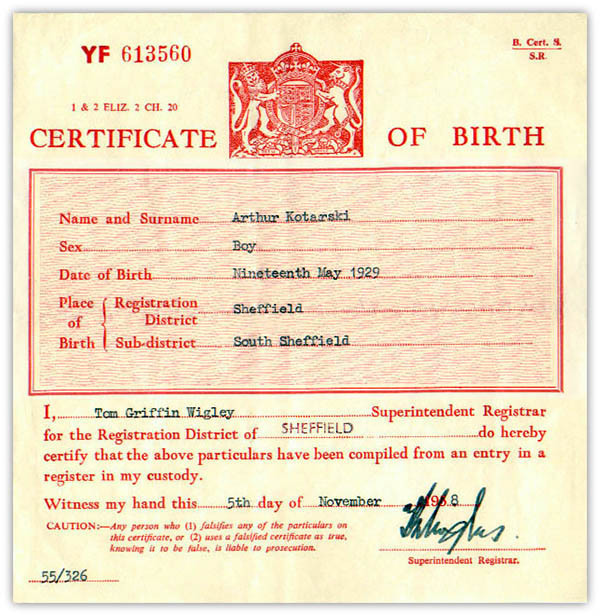 As you can see from my father's birth certificate he was not quite 2 years old when he and his sister lost his father. Thank you for the website and keeping the memory of those lost at the pits available to the public. His first name was Joe he was my grandad. Thank you for your excellent website – through it I have been able to identify the date and cause of death of Thomas Thornwill in 1907, it has helped my family history investigation. 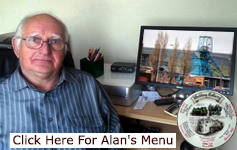 We had a family history enquiry recently that required the use of your marvellous database. It got me thinking about the Manton accidents, so I have been accessing our microfilms of the Worksop Guardian to make copies of the newspaper reports to put in Powerpoint for future reference. However, whilst searching for Charles Alfred Potts, I could find no trace of the accident just after 25th February. So I looked for the report regarding the inquest, where I found the date of the accident was actually 25th May. I was then able to find a report just after the accident. It also said in the report that his name was Frances Charles Potts. 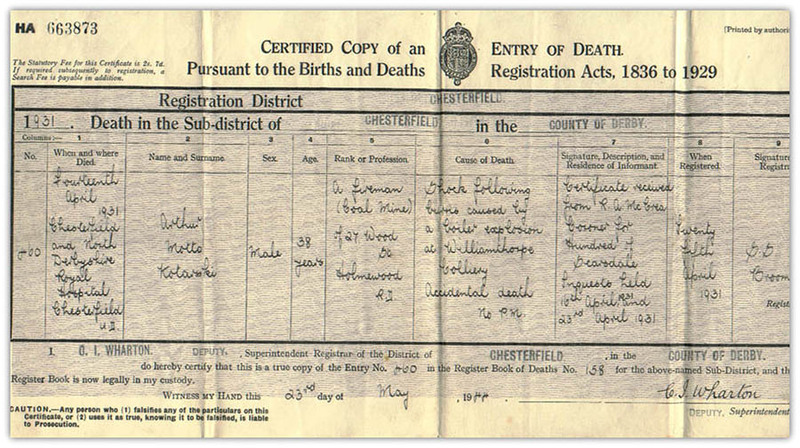 Hi, have you any information about my great uncle Alfred Blount who was killed in Hartshay Pit Derbyshire 13/2/30. 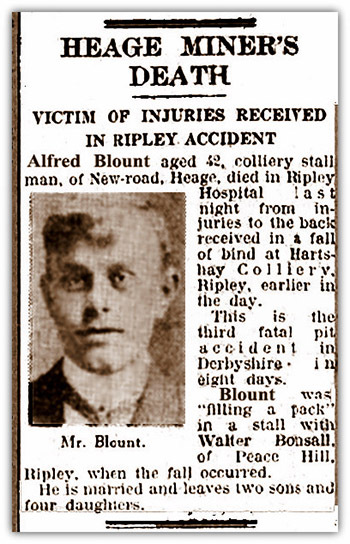 Alfred Blount aged 42, colliery stall man, of New-road, Heage, died in Ripley Hospital last night from injuries to the back received in a fall of bind at Hartshay Colliery, Ripley, earlier in the day. This is the third fatal pit accident in Derbyshire in eight days. Blount was “filling a pack" in a stall with Walter Bonsall, of Peace Hill Ripley when the fall occurred. He is married and leaves two sons and four daughters. Thanks to Alan Beales for this article.